When selling a home, a buyer would want to avoid a capital gains tax. Capital gains encapsulates the amount of money gained from a real estate property from the original purchase. 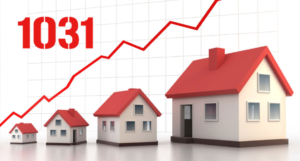 You might have heard of a 1031 exchange and how real estate investors use this to defer capital gains taxes (usually at 15%). They do so by purchasing new investment â€œlike-kindâ€ homes at a higher price that allows them to defer payment. Therefore, it creates an increased return on investment and portfolio growth. The buyer can then create aÂ cycle of continuously investing in new property to avoid a capital gains tax. If Â the investor does eventually have to sell the home, it is often years later and with much accumulated wealth. Furthermore, long-term capital gains taxed at a lower rate than short-term capital gains. While it may seem that a 1031 exchange is aÂ great loophole here are a few precautions and conditions attached. It is important to note that this can only be facilitated on business and investment properties and cannot be used on personal homes. So an individual cannot purchase another residential home to avoid capital gains taxes. Do note that there are ways to make a home into an investment property by renting out within a very specific time-frame or doing a 1031 exchange, but be very careful of the timing and legal contracts. In addition, be wary of costs of mortgages and loans that would change the value and have to be taxed. Moreover, when it comes to a 1031 exchange, timing is critical, a property must close in less than 6 months. A 1031 can save a lot of money for knowledgeable investors willing to put in the time and research to correctly facilitate the exchange.